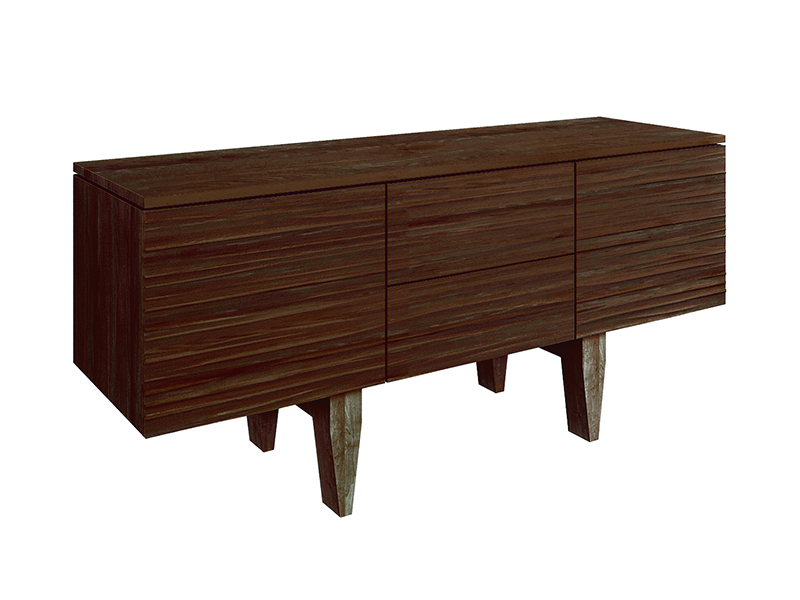 The front of this unique buffet is hand planed to give a unique texture. The drawer and door fronts are cut from the same large piece of wood so the grain is constant across the entire front of the buffet. 2 drawers, 2 doors, 1 adjustable shelf behind each door.